Tummy Fat is that fat which does not only trouble the obese and overweight, but also the thin individuals. Yes those in their ideal weight range are many times troubled with the way their tummy pops out from their clothes. Absolute fitness is what one needs to get rid of this visceral fat. Here are some tips on how to lose belly fat. Losing belly fat requires a lot of hard work and efforts on both exercise and diet front. we have tried to comprehend these tips to lose belly fat. Here are some tips to lose belly fat. To lose belly fat, one must workout for 45 to 60 minutes. Read – Burning body fat for weight loss. This workout session should consist of proper warm ups, cardio session, intermediate training, strength training and then cool down at the end. Cardio exercises help in building up lean muscles and it improves the strength of midsection. Regularity and maintaining the correct posture are important to consider while losing belly fat. I meet a lot of people who are already exercising and doing their bit of what it takes, but are still struggling for weight loss. Does this happen to you? When it comes to losing belly fat for men or women, Interval training works wonder. If you have been jogging for an hour on the treadmill and still not losing the belly fat, stop doing so. Instead start with interval training and you will see magic happening. Interval training involves short bursts of high intensity burnouts into whatever exercise you are doing. Next 2 minutes – Walking at the speed of 5 and the 4.5 KPH . Some more details on “how to lose belly fat?” with exercises are mentioned below in the article. Surya Namaskar – Surya Namaskar comprises of various asanas, which work to strengthen your core muscles and get your abs muscles to work out and lose fat. You should start with at least 30 counts and then gradually increase to 50 and then 100 counts. Side planks – All kinds of planks are helpful in strengthening the core muscles. Side planks Side Planks are tougher than the others, but very effective when it comes to strengthening the midriff. Walkout from push up position – This exercise does not only increase your metabolic rate but walkout from push up position benefits in upper body conditioning. It strengthens tones and builds up the muscles of your upper body, specially the abdomen. Push ups are anaerobic exercises. It helps you burn the accumulated fat on the tummy area. The alligator drag – Like Push up walk out, the alligator drag turns out in an anaerobic exercise as soon as your muscles get exhausted. It helps in burning the fat from above your tummy. It gives Strength and stability to the core muscles and helps in toning them up to make you look fit. Dieting does not refer to starving yourself or keeping yourself undernourished. 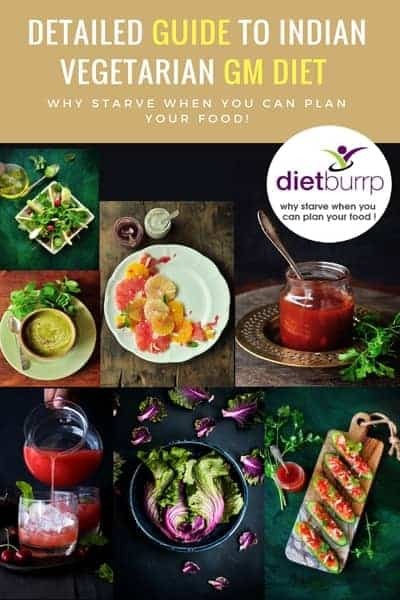 Starving is definitely not the answer to your question, “How to lose tummy fat?” Burning fat with healthy eating habits is the best way to lose tummy fat. Following are some tips on how to lose belly fat. Eat eggs to lose belly Fat – A recent research on weight loss carried at Louisiana state university concluded that people who consume eggs everyday for breakfast lose more weight in comparison to people who eat other meats. This effect of weight loss is attributed to the Vitamin B12 and protein content of the egg. Vitamin B12 helps in metabolizing fat in the body and breaking it down, where as protein helps in increasing the overall metabolic rate. This helps in losing more weight. Have egg white omelet for breakfast. Scrambled or poached eggs are fine too. 2 ] Legumes and beans to lose belly fat – Meats contain Proteins and some amount of saturated fat but lacks fiber, where as beans and legumes are a good source of both fiber and protein. Replacing meats with beans and legumes at least twice a week will bring positive changes in losing belly fat. Cannellini beans specifically are high in resistant starch. Resistant starch delays the process of digestion and absorption, and increases the involuntary burn out of calories. That means you spend more calories to digest this food. You burn these extra calories without working out and just by incorporating these beans in your diet. Cook these beans in as little oil as possible. You can add more veggies to your dish to increase the fiber content. Use these beans as pre or post workout snack. 3] Fish and fish oils to lose belly fat – Fishes like salmon, tuna and mackerel are packed with omega 3 fatty acids. Certain omega 3 fatty acids help in breaking down the fats around your abdominal area. (viz – Linolenic acid, icosapentaenoic acid and docosahexaenoic acid). These acids also help in reducing stress which could be a eason for gaining fat in the tummy area. If you are a vegetarian and want to enjoy the benefits of omega3, you can opt for fish oils. 5 ml of fish oil early in the morning will do the trick. You can also take it in the form of capsules. Eat fish in grilled or steamed or stir fried form. Do not eat fried fish. You can have a capsule of fish oil every morning on empty stomach. You can add 5 ml of fish oil to a glass of warm water and have it early in the morning. 4] Eat whole grains to lose belly fat – Avoiding carbs completely will leave you with a deprived feeling. There are chances that you might lose it and break in the diet. It is wise to choose the healthy carbs to maintain the balance and keep your brain calm and away from stress and depression. Choose whole wheat products, broken wheat, brown rice, rolled oats, couscous / quinoa etc. These items are whole grain and are super healthy foods. You can have a bowl of brown rice for your lunch. Add a lot of veggies to it to increase fiber. You can have whole wheat spaghetti too. Have toasted brown bread slices with your egg omelette. Try a hand at various oats recipes. It is super healthy and loaded with nutrition. Use grains like foxtails, couscous, quinoa, broken wheat in your flat belly diet. – Can rice help in weight loss ? – Health benefits of quinoa. 5] Green vegetables helps to lose belly fat – The goodness of green vegetables lies in its rich vitamin and mineral content. Fiber helps in making you feel full and hence you end up loading yourself with lesser calories. Have spinach, broccoli, bottle gourds and other green vegetables in the form of soups or salads 15 minutes prior to your main meal. It takes 20 minutes for the brain to realize that the stomach is full. Taking these fiber rich food items before your main meal will help your brain understand how much food you need to eat and thus save you from over eating. As mentioned above, you can have a green salad 20 mins before your meal. You can enjoy the goodness of spinach in a soup form prior to main meal. Stuff your whole wheat parathas with fenugreek leaves to increase fiber and benefit in terms of fat loss. Have green veggies in steamed or boiled or stir fried form. Caution – If you have a hypo functioning thyroid, choose your greens accordingly. 6] Yogurt to lose tummy fat – The international journal of sport nutrition and exercise metabolism conducted a study on women and found out that those women who consumed 3 servings of curd lost more weight in comparison to women who were on a low calorie diet. Calcium from yogurt will strengthen your bones and increase your stamina. Have a cup of yogurt with your breakfast. You can have a cup of flavored yogurt as mid meals. 7] Avocados – Apparently, any food that is rich in fiber and provides fewer carbohydrates will help in weight loss and in losing belly fat. Avocados are one of them. It is not only rich in fiber but provides heart healthy fat and facilitates weight loss. 8] Lemon water to lose belly fat – Every time i plan a diet for my client, i always add a glass of warm water with lemon early in the morning on empty stomach. There are various benefits of adding this. Lemon water helps in facilitating weight loss by increasing your metabolic rate. It helps in clearing the toxins produced in the body due to high metabolism process happening. Lemon water increases your resistance to diseases and you will not catch infections or become weak during dieting. And it brings a great glow on your face and improves your skin. The list is endless. You can consume lemon water at room temperature or warm or even cold. The best way to have lemons is by squeezing them in a glass of warm water early in the morning on empty stomach. Quantity of lemon may vary according to suitability. You can dress your salads with lemon. Add lemon to your cup of green tea. 9] Green tea to lose belly fat – Green tea has several therapeutic applications. It provides ample antioxidants and also increases the metabolic rate. Hence increasing the rate at which body burns fats and loses weight. A study published in the American Journal of Clinical Nutrition stated that people, who drank around 4 cups of green tea every day, lost around 3 kgs of weight in only 2 months. To increase the effectiveness of your cup o green tea, you can add a few leaves of basil, mint and then squeeze a little lemon. If you can drink it without sugar or add a tsp of honey to enhance taste. The best time to drink green tea is before and after workouts and post meals. Green tea does not only help to lose belly fat but it will also help in better digestion and toxin removal too. Green tea will help you remain fresh and energetic during your course of weight loss. 10] Add ginger to your diet to lose belly fat – Ginger has a great thermogenic effect on the body. When you consume ginger, your body temperature rises, this increases the metabolism and the rate at which fat is burned. This is how ginger helps you to lose belly fat. Ginger aids in digestion and it also suppress the production of the stress hormone cortisol. This helps in reducing your cravings towards sweets and other carbs. You can use ginger in your salads, vegetable preparations, and tea. Ginger teas taste great and add on to several health benefits. 11] Eat Garlic to lose belly fat – Adipogenesis is a process in which adipocytes (fat cells) are formed. Garlic interferes in this process and stops the fat cells from forming. Garlic does not only take care of the fat in the blood cells but also the entire body. Garlic is effective in decreasing the elevated blood pressure. It prevents arthrosclerosis. You can have 2-3 cloves of garlic early in the morning g on empty stomach. Add garlic to your soups and salads. Add garlic to your vegetable preparations. Those who do not eat garlic due to religious reasons or the strong taste, you can consume garlic extract capsules. 12] Cranberry juice to lose belly fat – Cranberry is a wonder fruit for women. It helps burn fat like none other. It helps in eliminating the waste from metabolism in the liver and also helps in burning fat. Not to mention that it is loaded with anti oxidants, improves skin and vaginal health. Infuse some cranberry to you water jar, and use this water whenever thirsty. Have unsweetened cranberry juice as mid meal. 13] Infused water for fat flushing – Lately everyone is talking about infused water. What is it? Does infused water really help in burning fat? Yes, it does. When you infuse water with various herbs like mint, cinnamon and add cucumber, lemon, orange and ginger slices to it and store it for some time. Not only do these herbs implant a distinguished flavour to the water, but they also transfer their medicinal qualities. We have already read above about the benefit of lemons and ginger in burning belly fat. This infused water cleanses your system and detoxifies your body. The increased frequency of urination is a sign that your body is burning fat and you are losing weight. Take some leaves of mint, 10 slices of cucumber, 2 lemons (1 squeezed for juice and 1 sliced), sliced ginger (10 Gms). Add all the ingredients in a jar filled with water. Drink this water all day long. You can use up to 2 litres of infused fat flush water daily. 14] Chia seeds or Sabja seeds to lose belly fat – Chia seeds are more commonly known as sabja seeds or falooda seeds in India. These seeds are a wonderful source of fiber. It also provides antioxidants and a bit of iron too. Chia seeds when soaked in water or any liquid for some time, it swells up with water and provides beneficial fiber. This fiber will instantly help you in feeling full and will keep your cravings and hunger at bay for some time, helping you in utilizing the body fat for energy needs and burning the fat off. If you are a soup person, try adding chia seeds to your soups as a thickening agent instead of corn flour. You can add chia seeds to your mocktail, fruit juice, milk or any other dessert. 15] Lean meats to lose belly fat – lean meats are high in protein, have almost no carbohydrates and no fat. Protein being the only major nutrient in lean meats it increases the process of thermogenesis in the body. This requires the body to spend calories and burn fat. Hence high protein low carb diets are such a hit when it comes to losing belly fat. Buy leaner cuts of meat. Put the meat in deep freezer for at least 1 hour before cooking. Clean this meat when cold, so when you remove the top layer, all the saturated fat on the surface will be removed and the meat will become lean. Buy white meat and avoid red meat. Use broiling, steaming, grilling methods of cooking instead of frying. 16] Cinnamon to lose belly fat – Cinnamon helps in burning fat by increasing the metabolism. It is simple and a tasty way to burn your belly fat. All you need to do is ground some cinnamon and sprinkle it over your salad, soups, breakfast cereals and dips. You can also use it in your infused water. Get sufficient sleep – Providing at least 7-8 hours of rest to your brain and body is necessary to avoid stress build up. Stress and in sufficient sleep can lead to more belly fat. De-stress – Stress does not only affect your health, it affects your body too. Stress increases the level of hormone cortisol in the body; it makes you do all the unwanted stuff. You will crave for sweets. You will crave for food and feel hungry all the time. This will directly and indirectly make you put on more weight and most of the fat will be stored in your midriff portion. In this article i have tried to incorporate all the information on “how to lose belly fat?“ Hope you make use of it , and burn the belly fat off. Does drinking warm water with lemon early in the morning cause acidity? yes it may cause acidity in some people , if you are one of them , it is best to start your day with a fruit instead of lemon water. m happy to read ur diet chart regarding the diabetes patient. bt mam will u help me that how i can reduce my fat over my hip and thigh?? if u’ll help me mam,I shall be thankful to u.
hi mam.. i m 22 yrs.. hght 164cms n wgt 71kgs.. i would lke to reduce 10-11kgs.. n tummy fat.. i hv strts wit exercises n diet.. hw long should i follow?? can i use infused water while on gm diet? Thank you for sharing such a wonderful information with us god bless you. Hi Payal, your tips on weight loss are really good . I am in the process of weight loss. Started with drinking lukewarm water with lemon + honey in the morning. I have also begun to reduce and avoid sugar intake, sweets and other deep fried food items. I have also begun to practise yoga daily. good going sandhya , it is to these little little changes that we change our lifestyle and can push ourselves towards the healthy new us. my age 22 am also irritating fatty belly..
Hi Payal. I am 52 year old weighing 85 kils. I need to loose atleast 20 kgs. I have diabetes, Hypothyroid & Cholestrol (I am blessed :). I like typical Indian food. Can you give me some special tips? i m 28 yrs. i m 90 kg. have infertility problem. i be lose muscles on arms, thighs, belly fat, big bum. pl help me in reducing my weight. do you have any other medical issues ? are you on medications ? are you exercising ? Tell me about drinking water schedule…. Basically drink more water in between your meals. Logic is simple . if you drink a lot of water just before your meal , you will eat less food as most of the space is occupied by water in stomach . But water has high mobility inside the body and withing 30 mins , you will feel the urge to urinate. once done , your stomach wil be empty again , and you would crave like craz to eat more food . hence the chances of binge eating would increase. the best way is eat healthy and controlled quantity of food and drink water in between your meals. and whenever you feel thirsty . you can take your thyroid medication along with fish oil capsule with warm lemon water. thisw way you consume every thing on empty stomach. i am 25 years old and my height is 5 ft 5 inch & wt is 78 kg.Nowi want to lose wt at least 10 kg.I also have ovarian cyst.What can i do now??? I am so lazy about excercise.pls give me some suggestion…. my question is drinking warm water with lemon & honey is Good for weight loss..???? Honey… is good carbs ????? Hi Neha , yes it is good , but i personally do not prefer honey id you are on a full diet . just have warm water with lemon . honey is ok to have if you are on a very restrictive calorie diet . otherwie it is just added calories. I am diabetic patient. Young, Energetic, Look healthy, fit and fine. Recently I have joined gym for wait reduction and muscle building. my blood tests are Fasting 140 and PPBS 180. 1 week back I have tested for Renal functions. Reports are normal. My weight is 68 kgs. ht. 5.2. Now I am interested to reduce belly FAT and build muscle mass. Kindly advice what should be my diet for diabetic as well as to built my muscle mass to tone up. Hi Prakash , sorry i do not have any ready plans that you can refer .. please consult a dietician on a personal basis and get a diet planned as per your requirement. Priya : I am allergic to Lemon and every thing which is sour. I want to dink infused drink. with what i can replace lemon so that i can have cucumber , mint ,ginger infused water for weightloss. lemon is basically added for vit C .. unfortunately all the replacements will be sour , like orange , grape fruit , sweet lime. so you can skip if it doesnt suit you well. M’am I am very disappointed. I was waiting eagerly for your positive response. Kindly look into. I have seen your replies to other queries. Your answers are superb. Pl. look into my request. Mam i lost 10 kg of my weight than also i’m unable to reduce my belly fat.. Why??? 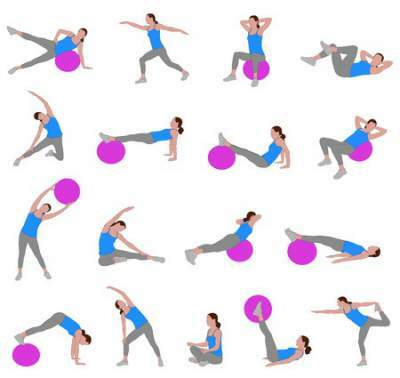 are you doing abdomen exercises ? weight loss is always allover , but if you need to lose weight from a specif body part , you need to workout the muscles of that area. I am very interested in your diet plans and articles. I am 25 year old male, living in abroad. My height is 5.5 and weight is 67. I would like to know how lose belly fat around my stomach and chest area as my hands and legs are thin. Appreciated, if you can provide me the tips and diet plan to achieve my goals. I realized that my body type is apple shape and am very disappoint about this. Awaiting your earliest reply by mail. first time I am watching your site. I like your suggestions. My night is 5:3 and my weight is 51. I am mother of 2 year old boy. I have muffin top. (area is 34) I want lose my stomach fat . please man give me some idea so I can lose my stomach fat. Hi mam I am pranit from Maharashtra my weight is 90 kg I am 17 year old. Plzzzzz give to me a diet plan. 2 yrs back i was 60 kg and after 2 months of holidays i gained 15 kg and till now am not able to get back my old weight. I went gym but due to lack of motivations i stopped. I tried few diets and it didnt workout. But good part is that i hav maintained same weight fr 2 yrs. Jst now came across ur page. And i saw few of ur tips which sounded good but can u clarify me what i shld do to reduce frm 76 to 60 kg but avoiding the gym. Btw i still do some workouts at home daily fr 30 mins. Hope u giv me some proper diet tips and exercises to follow. Am frm chennai nd need som south indian dishes. 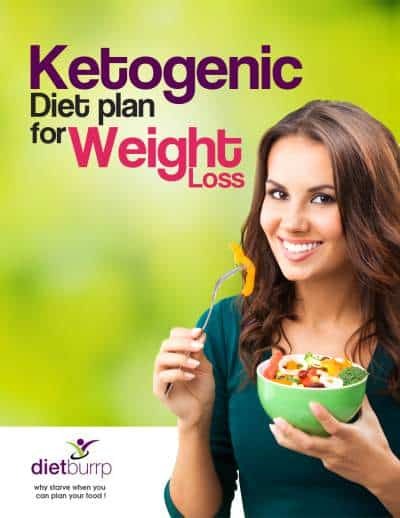 Or You can try following the diet plan mentioned above in the article.- https://www.dietburrp.com/south-indian-diet-plan-for-weight-loss-1200-calories/ this is a general 1200 calorie diet plan and has helped many. it may be of help to you as well. Hi can i use ginger water n cinnamon water while trying to conceive at the same time want to loose 10kgs extra weight. and at the same time , start planning . this will help you have a wonderful and pleasent pregnancy . and will go on to have a healthy baby.